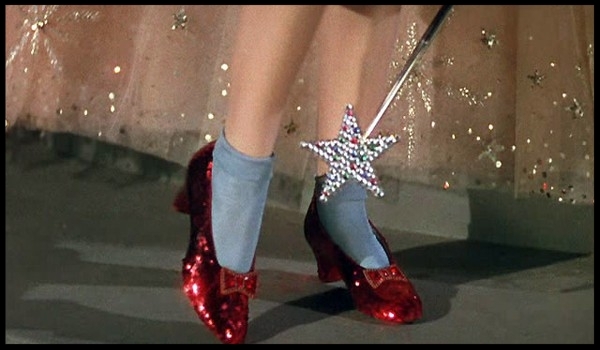 "The Wizard of Oz" is one of my all-time favorite films. As a child in the 70's, the movie aired on television once a year, sometime between February and Easter, and was a major event in our home. Mom and I would scour through TV Guide Magazine - which she picked up every week at the supermarket - to find out when it was coming on. Then she tore out the page and taped it to the fridge as a reminder so that we wouldn't miss it. For those of the under-40 generation, I know it's hard to believe, but back then there were no such things as Netflix, DVR's, or even movies on videocassette tapes! If you missed the broadcast, you had to wait an entire year to see it again. Waiting. It's almost become a dirty word these days. We live in an age of instant gratification, with hundreds of cable channels at our fingertips, endless information via the Internet, and on-line shopping. Want to know the latest sports scores? Just pull out your phone. Want that package delivered faster? Ask for express shipping. Want to share some good news or a funny cartoon? Get on Twitter or Facebook and send it out to the world in a matter of seconds. Don't get me wrong. Improvements in technology and smart phones and the Internet can be very valuable to us in our everyday lives. But there's something to be said for the thrill of anticipation, of having something to look forward to or work toward. Take relationships for example. Whatever happened to old-fashioned dating and taking the time, years even, to really get to know someone before making a serious commitment of marriage or starting a family? Our younger generation has been conditioned to fast-track their relationships, becoming intimate way too soon and setting up house within weeks or months because they want their happily ever after to start right here, right now. Unfortunately, statistics show that the majority of those unions fail. Worse, those who don't learn from their mistakes end up sailing through their lives with a string of messy, unfulfilling relationships in their wake. Our fast-forward society influences our lifestyles as well. We're encouraged to live by the "Keeping Up With The Joneses" mantra. Everyone's doing it! Buy big and buy now! Instead of purchasing a modest starter home and building wealth slowly, many couples saddle themselves with crippling mortgages, toys they can't afford, and living way beyond their means. No wonder the majority of families don't save for their retirement or even a rainy day! We learn the valuable lessons of patience and delayed gratification when we wait for some things. And the end result is usually much more satisfying. What do YOU think? I love hearing from my readers, so feel free to leave a comment below or drop me a line on my Contact page. Sign up for my updates and blogs here!